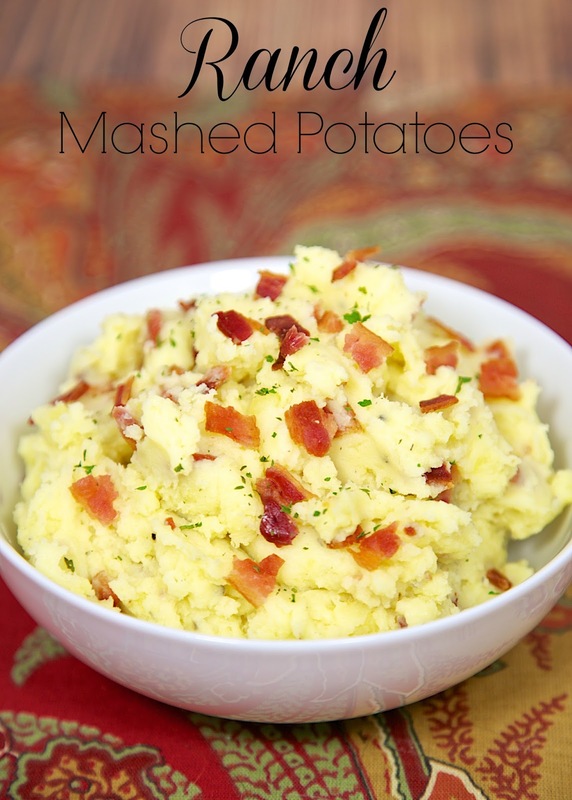 Ranch Mashed Potatoes - yukon gold potatoes, butter, Ranch dressing and bacon. Super quick side dish that packs tons of flavor! These Ranch Mashed Potatoes are awesome! Buttery Yukon gold potatoes, butter, Ranch dressing and bacon. We cleaned our plate! 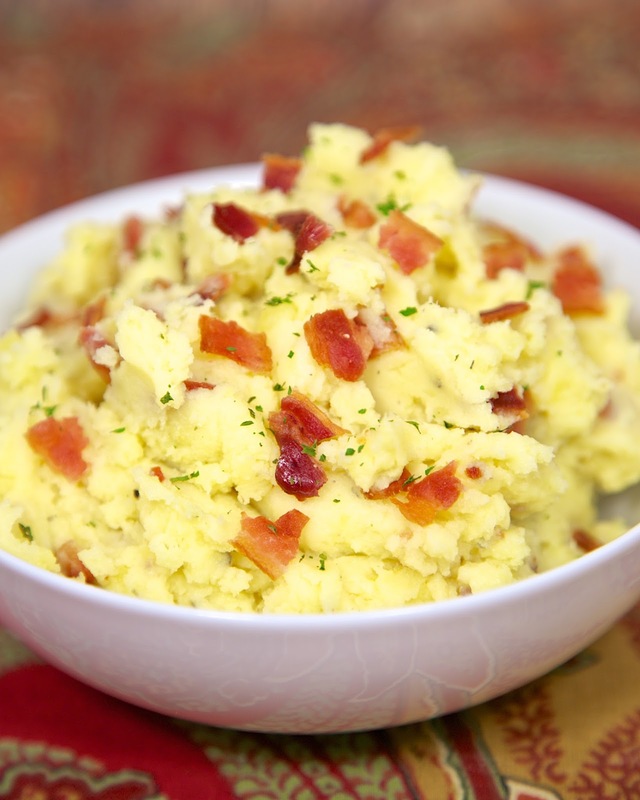 The great thing about these Ranch Mashed Potatoes is you can reduce the calories with light butter, reduced-fat Ranch and turkey bacon without losing any of the great flavor! Either way, they are delicious. I especially love that they are ready in under 20 minutes! Place the potatoes in a large pot. Add enough cold water to cover the tops of the potatoes. Turn heat on high and bring to a boil. Reduce heat to medium low and cover. Cook the potatoes in gently boiling water until tender, about 15 minutes. Drain. Place potatoes in large bowl. Beat potatoes with a hand-held electric mixer just until mashed. Add butter, salt, and pepper, beating until butter is melted. Add Ranch dressing and beat until smooth. Top with chopped bacon. Serve immediately. You can't beat 20 minute potatoes! I could drive right into that fluffy bowl of bacon goodness. this looks amazing!! Can't wait to try them! Perfecto! These are great reheated at like 3am. Just sayin'. Is that "liquid" prepared ranch dressing or dry packaged ranch?? ?